You have a new NetApp FAS2252 with two controllers and a single disk tray. The intended design for the FAS2252 is to have ONTAP 8.3 configured in Clustered-Mode to provide Active/Active failover. 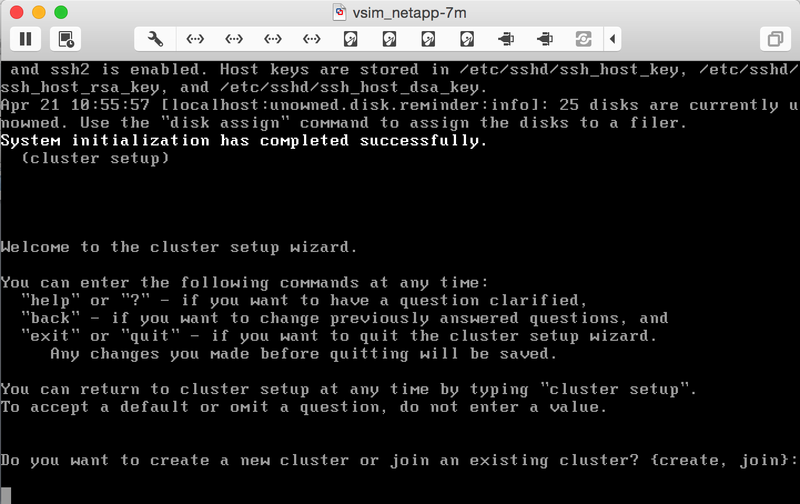 The first controller boots without issue into ONTAP Clustered-Mode, and you have created the cluster using the cluster setup wizard from the console. You then try to configure and join the second controller to the newly created cluster. 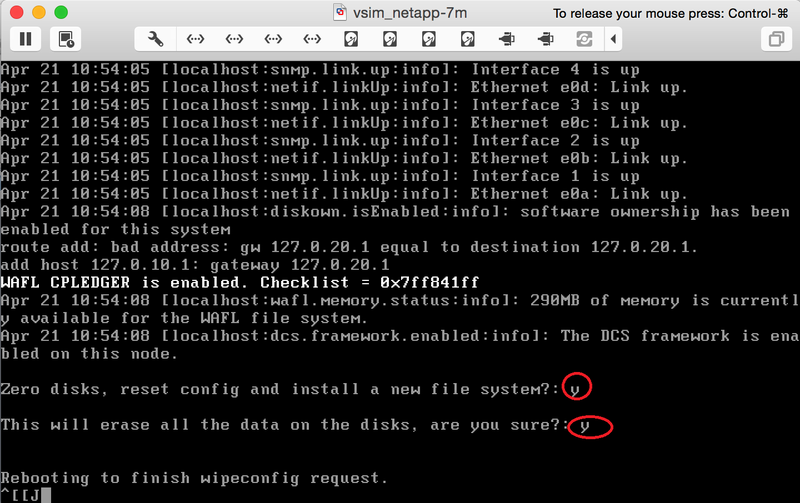 You notice the second controller continually boots into ONTAP 7-Mode, which does not allow you to add it to an ONTAP cluster. 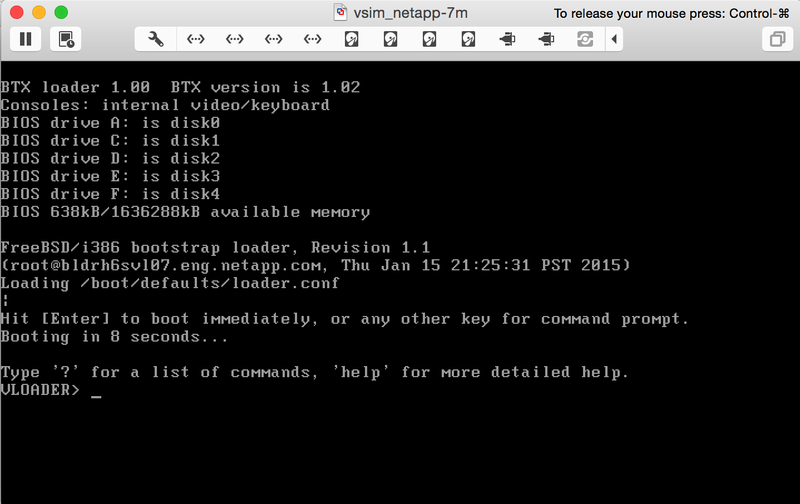 Before I did this on the physical FAS2252, I downloaded the ONTAP 7-Mode Simulator from the NetApp website. 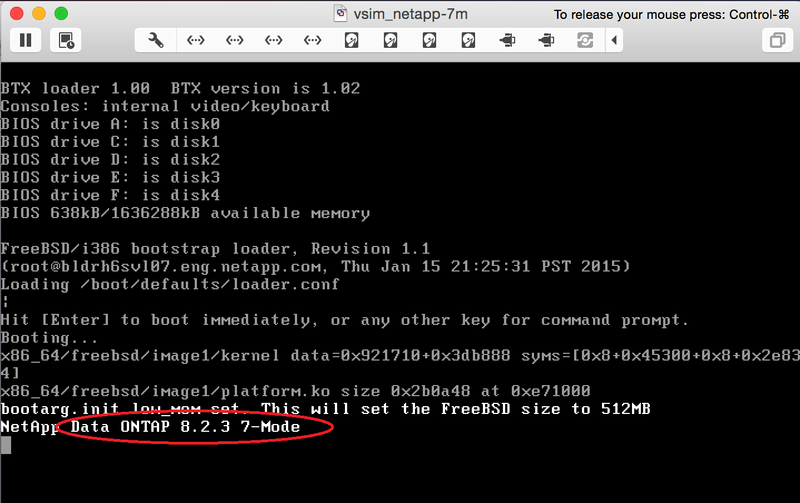 You can import it into VMware Player, Workstation or Fusion. When you extract it there is a VMware VMX file inside the folder, simply right click and open this with the VMware product you are using. 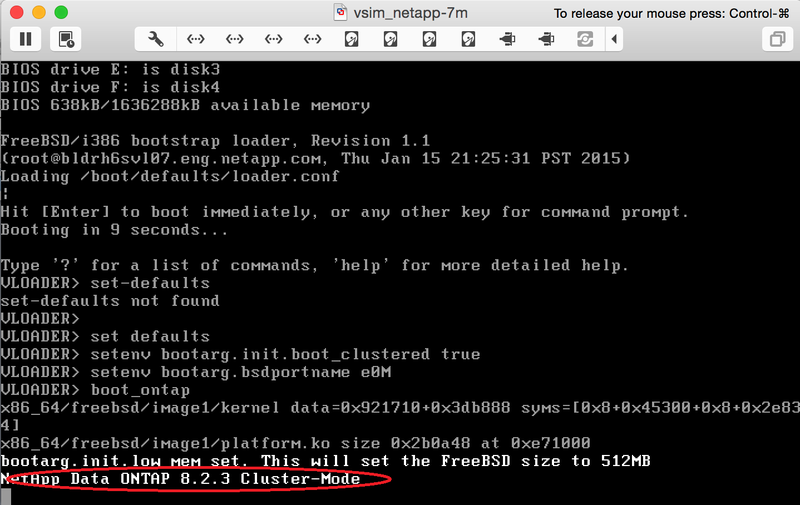 The appliance will load and you must get to the LOADER prompt to change ONTAP boot system to Clustered-Mode. To do this hit any key at the prompt before, this breaks out the boot sequence. On the physical appliance the prompt was slightly different and you are instructed to push CTRL + C.
Now from the LOADER prompt, type the following commands. 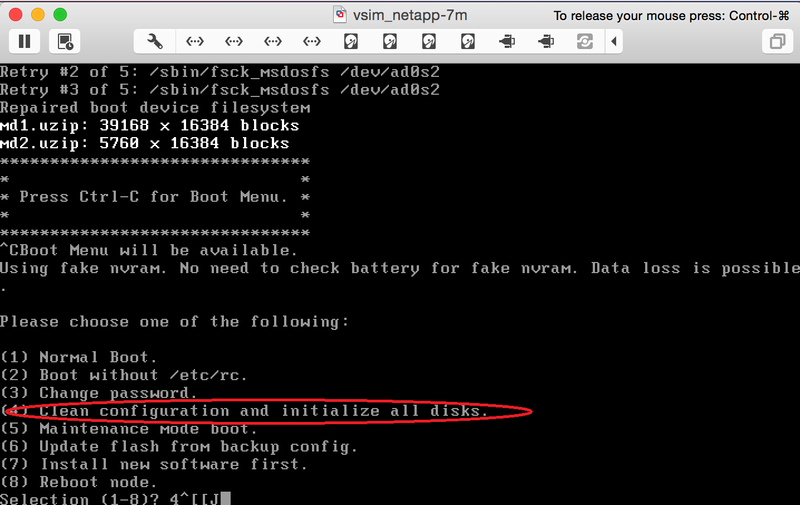 The last boot_ontap command instructs the appliance to boot the ONTAP OS, as the boot variable has just been set to ONTAP Clustered-Mode it should appear like below. When ONTAP begins to load push CTRL + C to get to the boot menu, select option 4 Clean Configuration and Initialize all Disks. Each of the controllers will require at least 3 disks to be assigned to them for step 4 to work. If all of the disks in the shelf are assigned to a single controller step 4 will fail. To reassign disks you can use maintenance mode. Bare in mind that if your filer has any data on it this step will destroy it, as I was only testing using the simulator I just continued. Once the wipeconfig has completed, and the filer reboots you will be prompted with the cluster setup wizard, which I will cover in my next post.